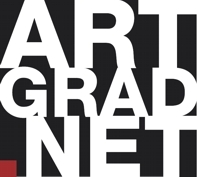 ArtGrad.net is a global marketplace for all art graduates to exhibit and sell their work in a professional environment, teaming with buyers, collectors and enthusiasts - all searching for contemporary art from emerging artists. All the work you see on this site is done by people that have studied art or design at an educational establishment: they are all professionals in various stages of their career development. We have some of the most contemporary, interesting and affordable artwork pieces that can be found anywhere – at the click of a mouse. If you’re a buyer - or "just looking! ", please click on the Buyer link to the left to see a huge range of affordable artwork, and more information about how you might decide to use art as an investment. We also have information for interior designers and architects too.